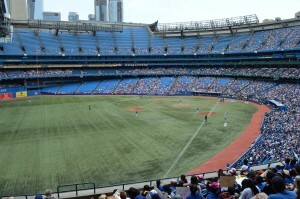 Ballpark Basics: A once futuristic ballpark that is beginning to show its age. We were very excited to take in a game at the Rogers Centre. Jim had taken in a game there years ago as a part of road trip and was able to score first row seats for dirt cheap (one of the only benefits of having a perpetually poor performing team). Top that off with the overly friendly atmosphere of our northern neighbors and the fact that we were going to take this site international and we were excited. Unfortunately our visit did not live up to our expectations. Arriving into town right before the game started thanks to an early start the day after Canada Day we rushed to find parking near ballpark. After a few twists and turns we were able to find street parking not too far away. We paid the meters and we were on our way. We didn’t want to wait at the ticket office so we headed right for one of the ticket kiosks that are placed near multiple entrances. We printed off our tickets and headed up the ramp to our seats. We were lucky (sort of) that it was a sunny day out and the roof was open. When we got to our seats we were directly in the sun. One of us being redheaded and the other being fair skinned we opted to sit a few rows back from our ticketed seats to get some shade. This was not packed day and we had our choice of rows to sit in. However, shortly afterwards we were approached by one of the ushers to see our tickets. She stated that we could not move seats and had to move back to our original row. After pointing out the abundance of open seats she still insisted on us moving. Begrudgingly we moved back to our seats. However, when we saw a family with an infant ask to move back into the shade so, you know, the infant wouldn’t burn to death the same usher would not allow them to move. They ended up attempting move to another section with a less ornery usher. When the SkyDome, ne, the Rogers Centre opened in 1989 we were a couple of years away from the great renaissance of the American ballpark. 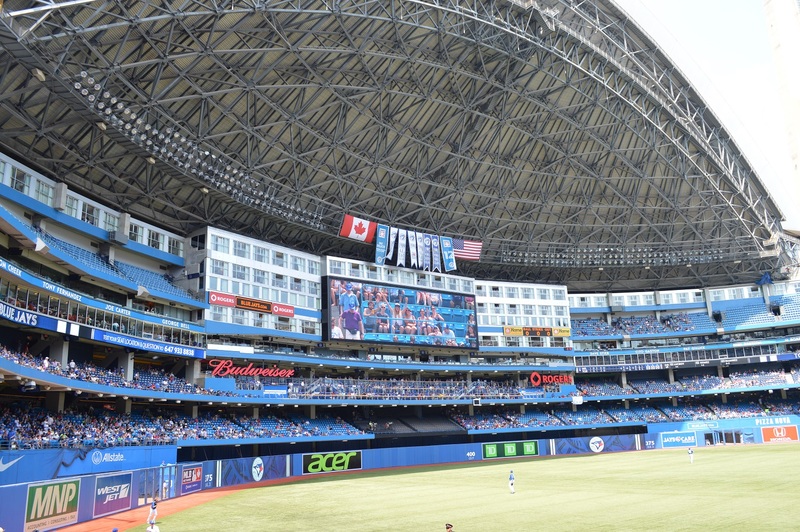 With its retractable roof, attached hotel with rooms overlooking the field, astroturf, the CN Tower looming overhead and the downtown location, it was a sign of things to come. Luckily no other team has used this blueprint for their ballpark. What was ahead of its time now seems dated and drab. 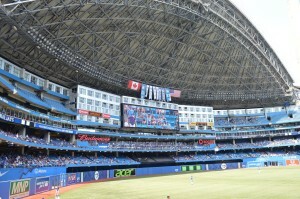 The retractable roof offers too little of the bright blue sky even on sunny days. The hotel takes up the entire outfield and blocks any chance of a downtown backdrop. 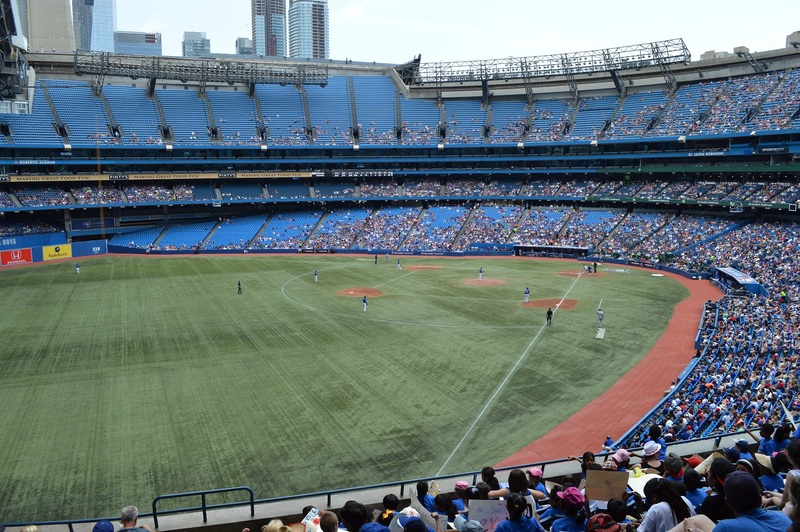 While baseball teams have done everything they can to get away from AstroTurf, the Blue Jays went in the other direction and actually have an advertisement for AstroTurf on the field. 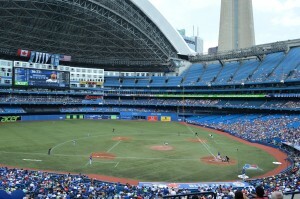 The CN Tower and the downtown location seem to be the only redeeming qualities for the Rogers Centre. Another area where the ballparks misses out is in the beer department. For the 2013 season you could have found the local favorite, Steam Whistle, in the ballpark. However, before the 2014 season the Blue Jays signed a new agreement with AB-InBev to make them the sole company that can pour in the Rogers Centre. This was met with such outrage that there was even a petition created to get Steam Whistle (or any craft beer) back. 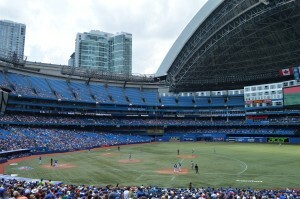 The Rogers Centre is like your friends kitchen that was remodeled in the 80’s. When it was completed everything was modern and new, it included all of the latest trends but now it just seems dated. Unfortunately there doesn’t seem to be much you can do with the place. It was the last multi-purpose stadium to be built for an MLB team and we hope it stays that way. Beer basics: Not much on atmosphere, but one of the first breweries in the area, and one that is pushing the limits of Toronto’s craft beer scene. Toronto has a bunch of different brewery options, as one would expect in a large metropolitan area. However, it is actually still a burgeoning craft beer market, and many of the breweries have really stuck to the more traditional versions of beer styles in an effort to build and maintain a fan base. We tried many, and will probably post more about Steam Whistle (the beer mentioned above) at some point. 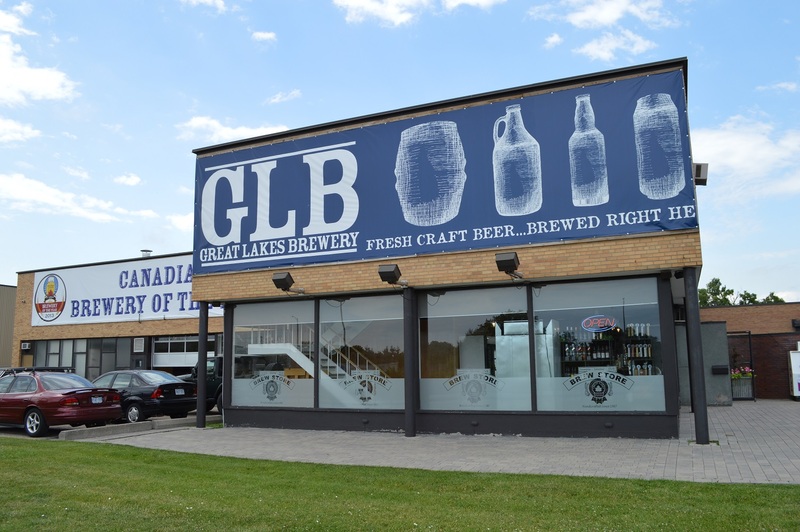 But today, our pairing nod goes to Great Lakes Brewing, a spot that was one of the first to bring craft beer to the area, and is today encouraging Canadians to expand their craft beer horizons. 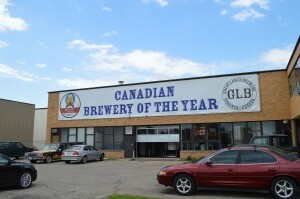 One of the oldest breweries in the Toronto area is located on your way out of town. In business for more just about 30 years, the Great Lakes Brewery in Toronto is not the one who sells Elliot Ness or Edmund Fitzgerald (that one is in Ohio) but they still have quite a following. 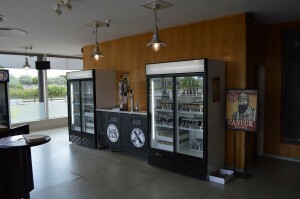 They also know their customer base and can instead of bottling so that their brews are welcomed anywhere, even when glass bottles are not, and though they are located in an industrial area on the outskirts (like most craft breweries once were) they are still making their mark all over the city. Currently the visitor portion of the brewery is limited to a lobby/store/tasting room but they have room for expansion either outside or to turn their old brewing area into a real tasting room. Having (fairly) recently acquired an old mash turn from Great Divide, the brewery is planning to increase production. 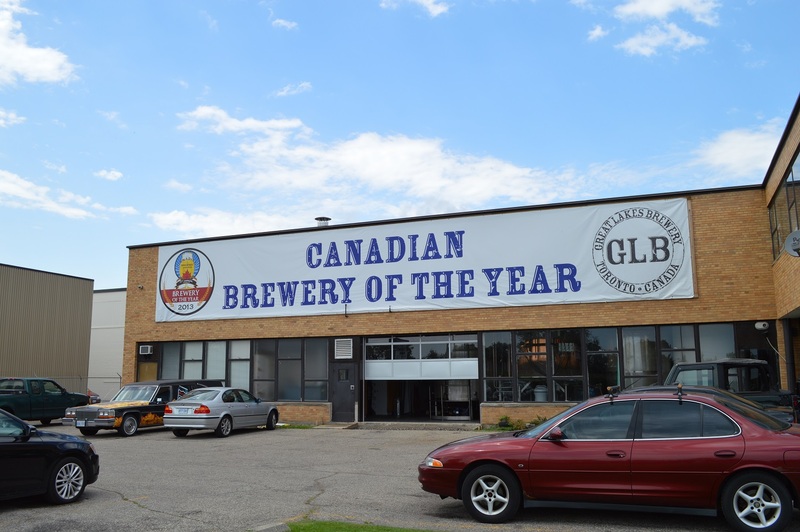 This seems to be more than necessary as they swept the IPA category at the 2014 Canadian Beer Awards (check) and their IPAs, brewed only in small batches, sell out in a day. One of their most popular, the Audrey Hopburn just happened to be so fresh off the line that our kind host had to put a label on it before handing it over to us. Beer Breakdown: Many of their options tend to be very true to the standard style as they are still initiating the area into the world of craft beer, but they have lots of different recipes that they cycle through as the seasons change and space allows. Here’s what was on tap the July day we stopped in. Golden Horseshoe (5.0 abv/7 ibu) A smooth, crisp golden lager that’s very carbonated and therefore has a tingly mouthfeel to go with a fairly standard lager taste. This beer is one of the most likely to be available when you come by as it is their house lager. Canuck Pale Ale (5.2 abv/55 ibu) This pale ale is an orange-copper color and has quite a hoppy bouquet. Again a highly carbonated beer that is light on the tongue while still providing that hop bite. Devil’s Pale Ale 666 (6.0 abv/55 ibu) A strong pale ale that’s almost more in the Black IPA category. Smooth yet hoppy with coffee and roasted malts coming through at the end. The Audrey Hopburn – reviewed next – was good, but this was probably our favorite. Audrey Hopburn (6.5 abv/70-80 ibus) One of their most popular and a source of much pride. The Audrey Hopburn is a mix of a Belgian saison yeast and west coast IPA style. It pours golden with a cream head, has a blended fruit/hop aroma and is smooth going down with the fruitiness making an appearance in the finish as well.